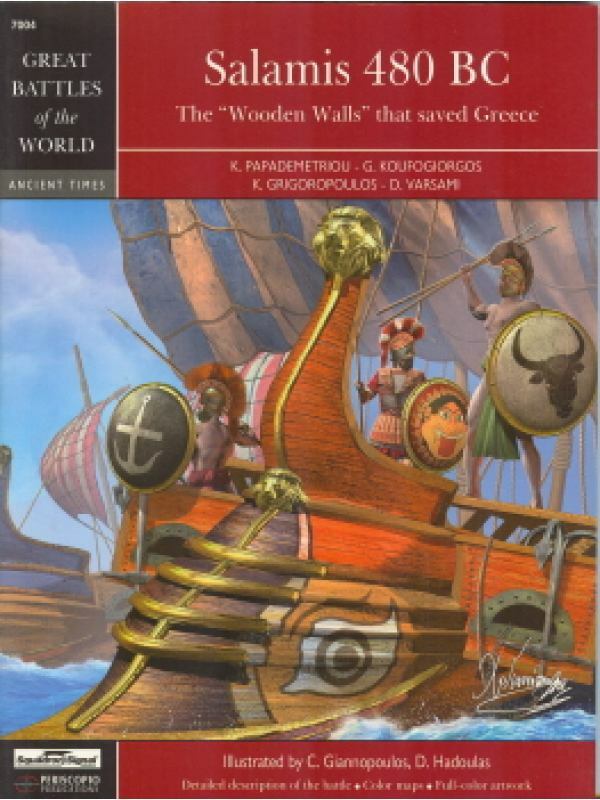 This is an historical essay about the naval Battle of Salamis that took place in 480 B.C. between the allied Greek naval forces and the Persian-Asian fleet. This was one of the most important military conflicts of the ancient world, as this monumental Greek victory actually led to the development of the ancient Greek values that gave birth not only to the European, but also to the whole of Western Civilization. The text contains numerous military terms, primarily concerning the most significant weapon used by both sides during that naval battle: the trireme and especially its handling, its method of construction, its crew and its tactics. The majority of the terms come from the ancient Greek language; one can find the equivalent terms in the Greek language beside them in parentheses, i.e. "ram" ("embolon"), etc. In the case where there are no English equivalent terms, only the Greek ones are used, i.e. "thranitae", referring to the upper row of oarsmen. All these terms are found in quotation marks in the text. Apart from the historical elements of the Battle of Salamis, the reader will also find a very useful chapter concerning the trireme as a weapon, as well as a brief biography of the father of the great victory, Themistocles. Of equal importance are the chapters from the Persian point of view as far as the conflict was concerned, as well as the situation of the site of the battle and the Salamis warriors' tomb as it is today. At the end of the essay there is a special chapter concerning the lesser-known details of the battle. 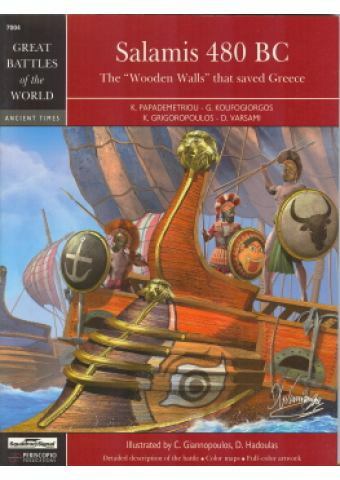 This will, it is hoped, assist the reader in understanding to a far greater extent the almost overwhelmingly difficult conditions under which the allied Greek fleet managed to save not only Greece, but also Europe itself from being conquered and thereby preserve the high ethical principles of the ancient Greek civilization. Enriched with color and b/w photographs, maps of the area and tactical movements and color illustrations of uniforms. Περιγραφή: Σελ. 96, μαλακό εξώφυλλο, 250 X 185 mm, 32 α/μ & 16 έγχρωμες φωτό, 10 έγχρωμες ολοσέλιδες καλλιτεχνικές αναπαραστάσεις μαχητών, 6 χάρτες (οι 5 έγχρωμοι), 1 πίνακας δεδομένων, 4 α/μ σχέδια, 2 έγχρωμα σχέδια, 2 α/μ καλλιτεχνικές αναπαραστάσεις. Κείμενο στα αγγλικά. Βάρος κατά την αποστολή: 490 γρ. Συγγραφέας: Δρ Μανούσος ΚαμπούρηςΈκδοση: Επικοινωνίες (2006)Περιγραφή: Σελ. 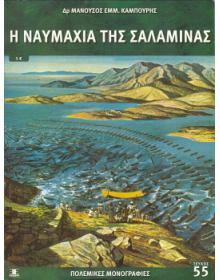 84, μαλακό εξώφυλλο, 280..